Spring is the season in which a new sprout starts its upward journey above ground. Bamboos are no exceptions. 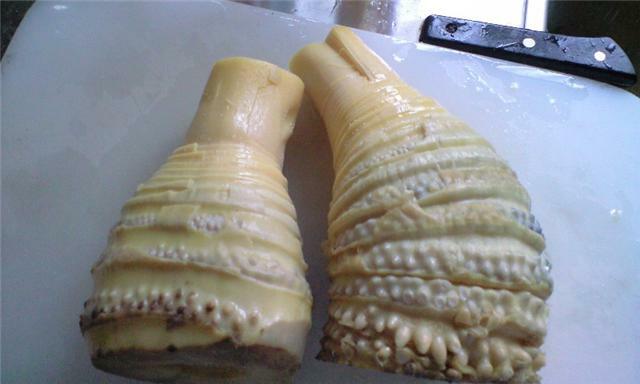 We enjoy eating bamboo shoots at home as well as in the restaurants serving Japanese cuisine. 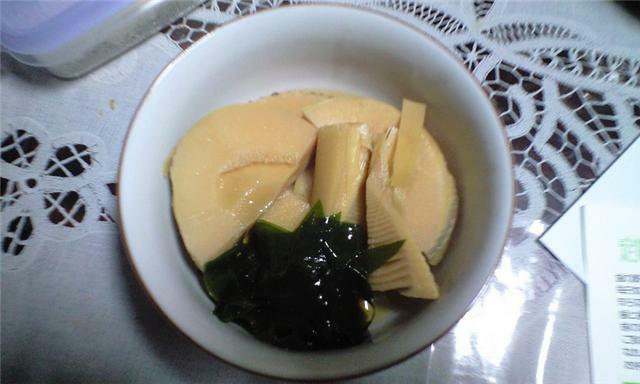 One of the most popular cookings is the one with WAKAME seaweed, called WAKATAKE-NI . The other day I cooked it at home. I'll show you part of it. First, we cut off the tip of it, then, parboil it with rice bran for more than one hour. 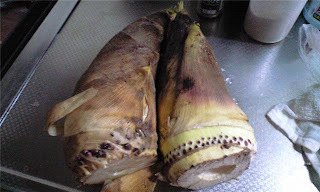 After cooling it, we take off the bark, and cut as you like. 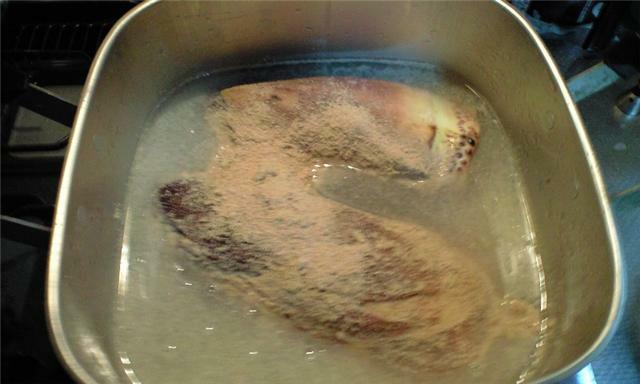 Boil again with soup(made of water and shaven dried bonito), soy-source, sake, sugar and a little salt. Enjoy this homemade cooking! This tastes really good because............. I cooked it!! a tour guide of Honeymoon! seeking cherry blossoms with American couple. The Cherry Season has come ! !